This week marked the third week Lauren has been with us and contained a number of important events in Lauren’s early life. 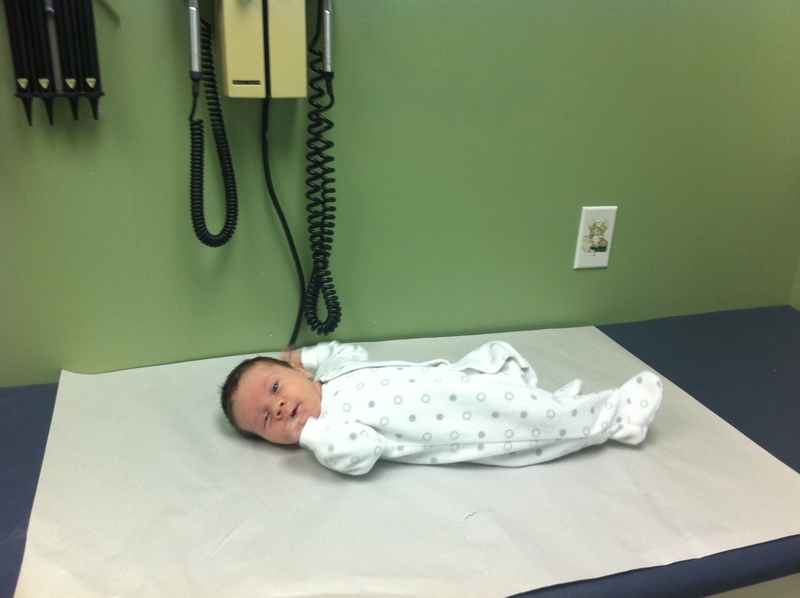 On Tuesday we took Lauren for her 2-week check up at her new pediatrician. We were fortunate to find a great doctor at a nearby clinic accepting patients. 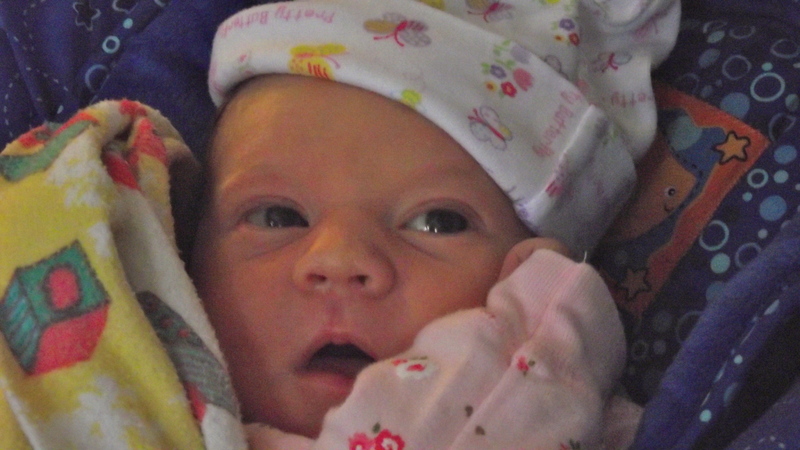 She is growing fast and above her birthweight – she weighed in at 8lbs 7oz as of 5 days ago. Later in the week we figured out how to use the stroller and ventured to the mall. I am happy to report Lauren’s first retail experience was a good one. 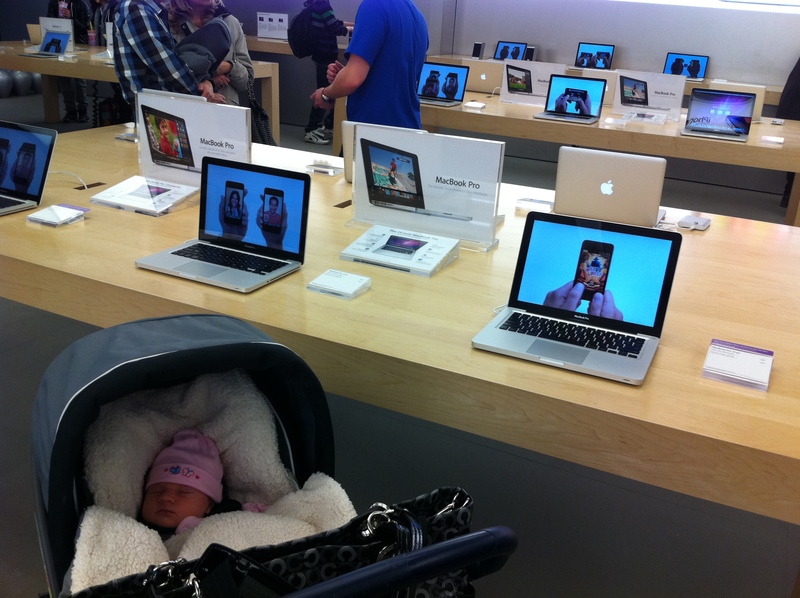 Since birth she has wanted to check out the macbook pro’s. Shortly after the mall we checked out a couple possible houses in our ongoing search for Lauren’s next home. 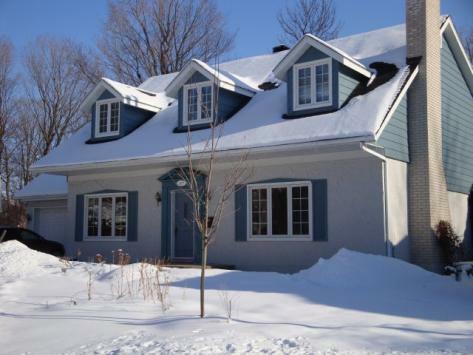 Finally we found a great home on quiet circle in Beaconsfield that is perfect for a growing family! We acted fast and had our offer accepted over the weekend. This week we will be finalizing the deal. Wish us luck! Two weeks ago at this exact time 6:35am Steve and I were preparing to greet Lauren outside of the womb. 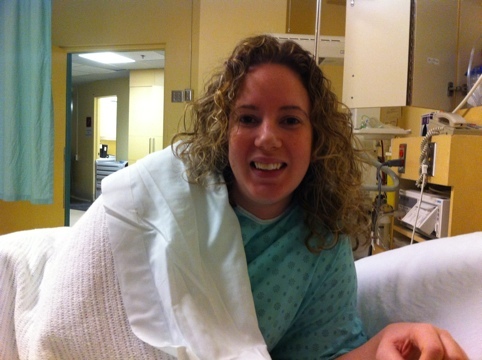 Right about now I would be having regular contractions and begging the nurse for an epidural (OUCH!). 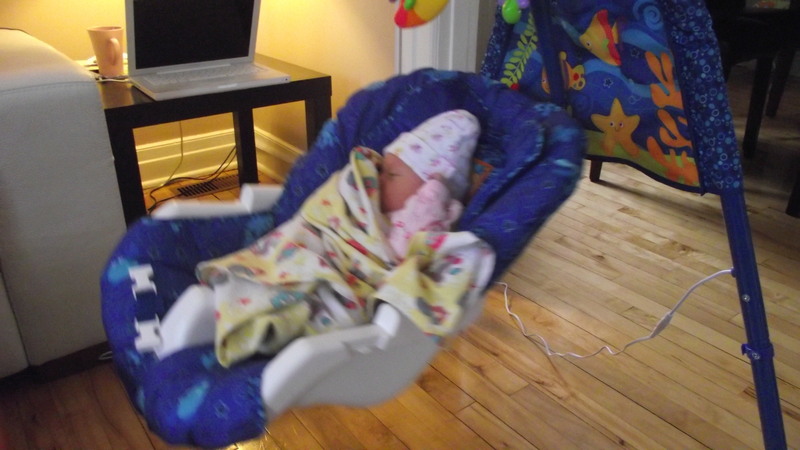 Flash forward to today and I’m watching our little princess pretending to sleep in her swing. Yep I said pretending. It’s a new skill that Lauren seems to have acquired over the last two days. One moment she is a serene angel, sleepy and ready to nap on Mommy or Daddy’s chest – oh how easy that sounds! Within moments her eyes are wide open and she is studying us with the sternest of looks, looks that soon escalates into a full-out growl of screams. Tonight was her most fussy night yet – Fingers crossed that the past two days have not been the start of the C word making its arrival, someone told me that it usually shows up around now! Besides our little one being an award-winning actress when it comes to sleeping, I can honestly say that the past two weeks have been the most overwhelming and best weeks of my entire life. The love I have for our new daughter is immense and watching Steve hold her and look at her so lovingly melts my heart every time. She truly is a gift from heaven. One that doesn’t come with instructions or a user guide! Lauren was a happy camper mere seconds before this picture! 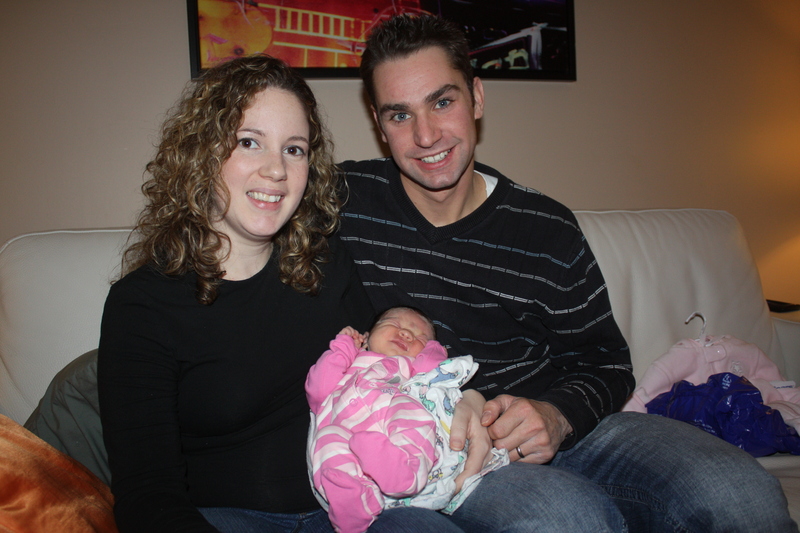 Yesterday Lauren completed her first week of life “on the outside”. It was a jam-packed week of meeting new people, shopping for houses, catching up on Sons of Anarchy, and chilling in her swing. Here she is clocking in at 127mph. At the beginning she just slept and ate, the moments awake were spent crying to try to give us an indication if she was hungry or needed a new diaper – pretty standard new born behaviour. In he last few days her time awake has been more geared towards taking in her surroundings. …she likes the Dyna Super Glide. Sorry Mommy it looks like its 2-1 in favour of buying a Harley. Week One finished with an introduction to the notorious Oscar. Possibly part wolf and part billy goat we didn’t know how our creature would react to Lauren. 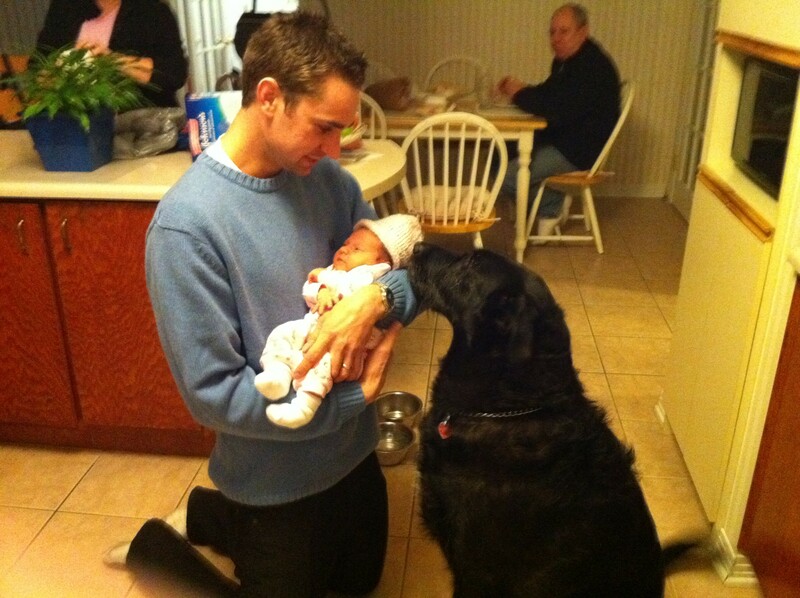 We’re happy to report he greeted her with a wagging tail and gentle sniffs. Next action is to saddle him up to provide a means of transportation between now and the time Lauren can walk. 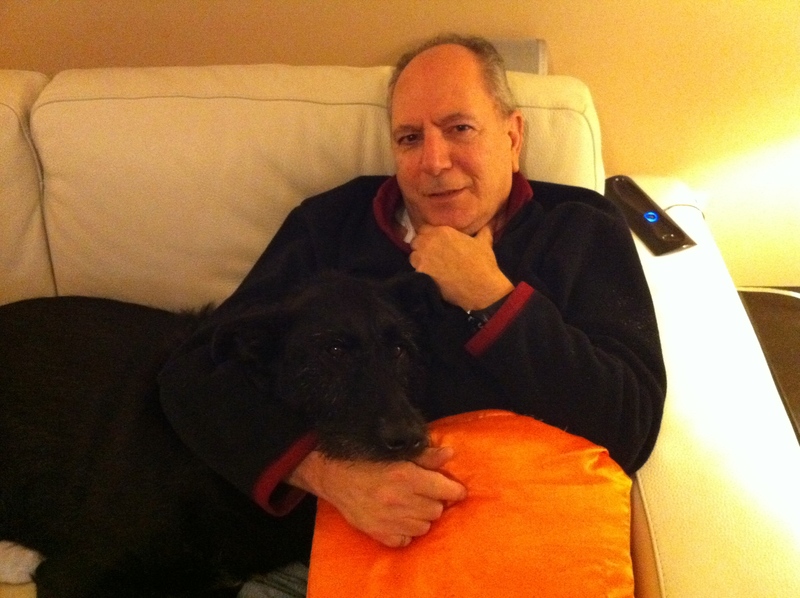 On Monday afternoon we returned home from the hospital and have been getting accustomed to the new-born routine – sleep in the day, up at night. 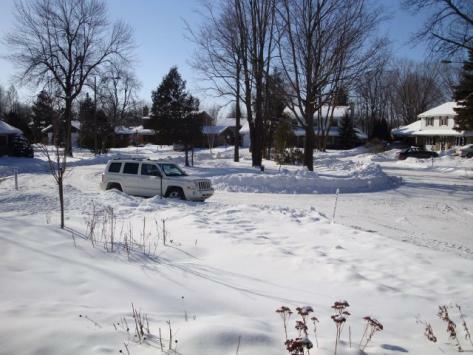 A big shout-out to all the nurses and doctors at Lakeshore Hospital. They were amazing and got us off to a great start. Since being home Lauren has been the sweetest baby girl anyone could ask for; she’s calm, sleeps most of the time, and shows respect to her parental figures! Once I teach her how to do laundry and change her own diapers we’ll be all set. 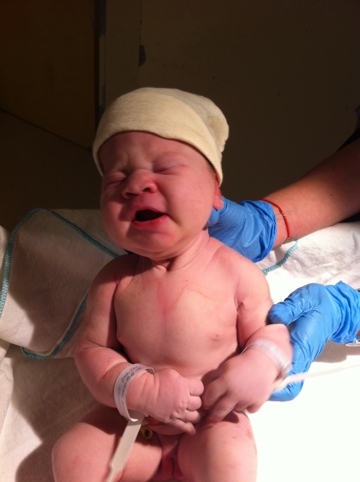 Lauren Olivia Loughheed joined us this morning at 11:45am EST. She weighed 8 lbs 1 oz. Mommy and Lauren are doing well, currently catching up on some well-deserved rest! 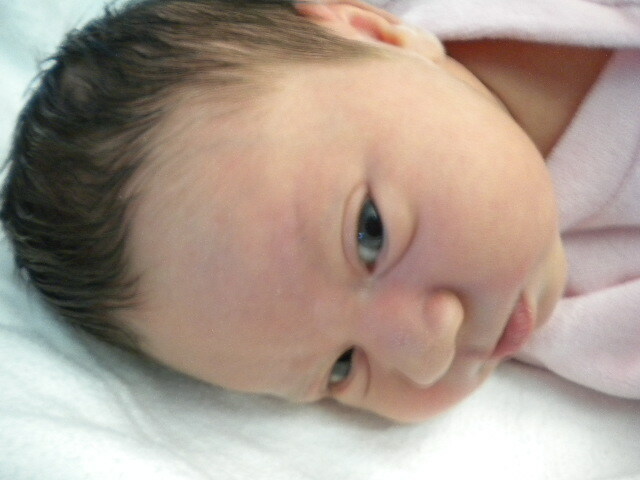 So far her hobbies include listening to white noise and relaxing in her Mommy and Daddy’s arms. tells us it’s time to head to the hospital. Check back for updates. stretch! 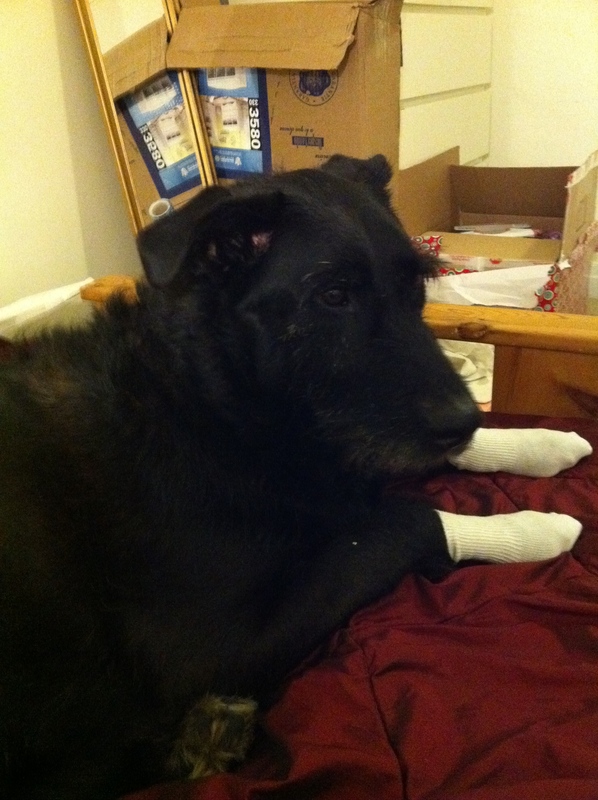 The drugs have been administered and mommy is in better spirits. Luckily, I haven’t had to spend the whole time alone while Stephen has been working . I have Oscar of course, but even more, my parents have stopped by twice this week to help out wherever needed and more importantly keep me from boredom while I anxiously wait for Lauren’s arrival. The support that Steve and I have received from his mom and Sister and my parents has been phenomenal. Lauren is going to be such a lucky baby to have such a wonderful family to welcome her into the world. Also, I can’t forget to mention how excited my Sister and Brother are about the new baby and how thrilled Julia and James are about their new cousin! James is the cutest, he keeps asking me when “He” will be coming out (aka his new cousin) no matter how many times I tell him its a going to be a girl! If he’s right then our future son will own a lot of pink! 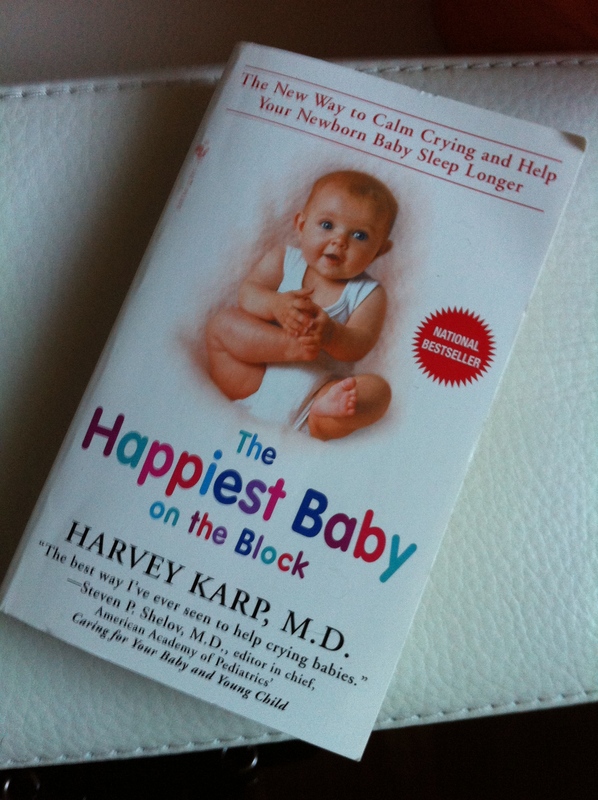 Currently Reading: The Happiest Baby on the Block – By: Harvey Karp M.D. Only 217 pages left to go (yikes) – I’ve managed to get a little further into my book, although I’m a little worried that I’m not going through it fast enough. I’ve started feeling some (probably false) light labor pain today. So I will be reading as much of the book as I can tonight. I’ll let you know my first impressions of it tomorrow (Unless I’m busy having baby!